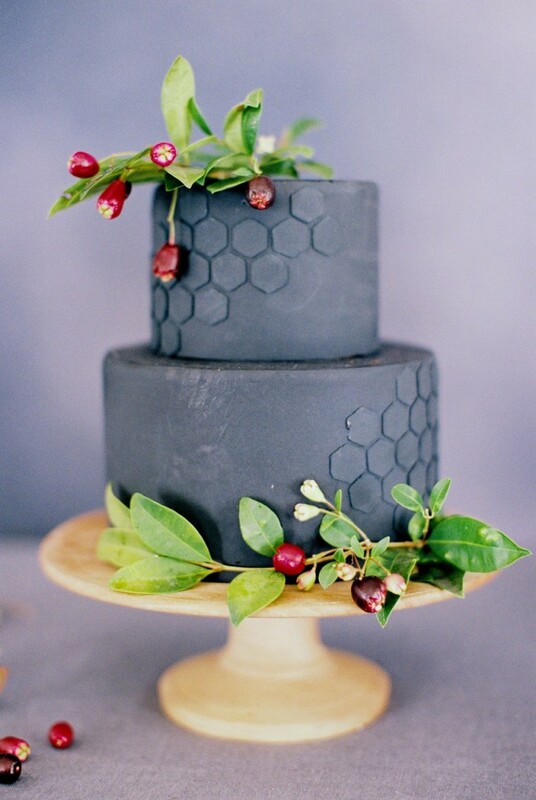 This cake, featuring honeycomb design on the dark icing would be perfect for a winter wedding – or even an early spring wedding. We love the color of the icing – almost a bluish-black tone with just a slight pop of color thanks to some greens and berries. You’ll need to have a dramatic color scheme in order for this cake to fit your wedding theme. But the unexpected color will be a lovely centerpiece! It would also work as a groom’s cake, minus the greens and berries. You can find this dramatic cake here. It was created by Nine Cakes.